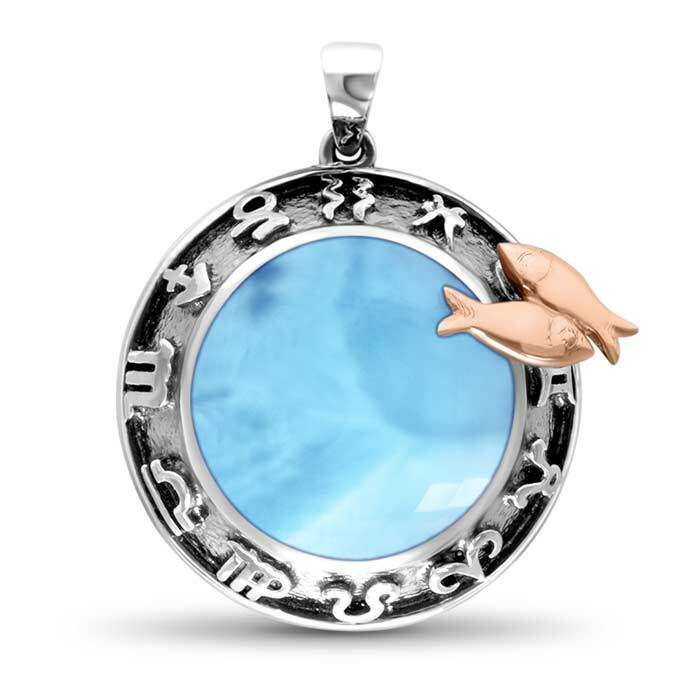 Show off your keen intuition and cosmic awareness with our Zodiac pendant made just for you, Pisces! Two gleaming fish of rose gold are perched above a globe of enchanting larimar gemstone. 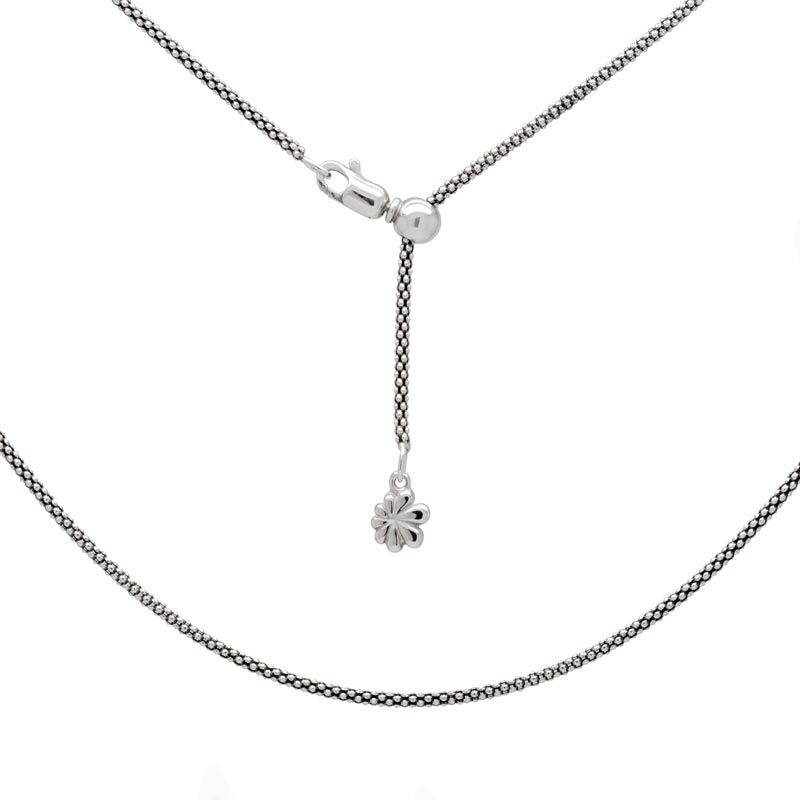 Below, all twelve signs, etched in rich oxidized sterling silver, circle the globe, showing the connectedness of all things, just for you!